Many years ago, when I was starting out my career, I had a mentor who had a running joke that he would start his own TV channel called the GNN (instead of CNN). GNN stood for “Good News Network“. I remember that quite vividly because it serves as a reminder to me that negative news headlines sell really well and the whole purpose of media is to grab eyeballs for ad revenue. This is why I purposely don’t read newspapers or watch any news. I simply don’t want to be bombarded by negativity. Ironically enough though, as a realtor who now specializes in condo investments, despite not wanting to be bombarded by negativity, I have to follow the real estate headlines quite closely these days in order to understand buyers’ psychology. As much as it shouldn’t make an impact on the market, news outlets do have a slight effect on the market. It’s All In the Headlines – As investors, we must understand our city and the economics that are driving the GTA’s growth. We cannot just focus in on headlines meant to grab attention. Oftentimes, these headlines and articles are written by newspaper columnists who are not even investors themselves nor do they understand the basic fundamentals of investing. The purpose of this insight article is to prepare you for all that lies ahead in the world of media headlines in the coming 2-3 months. 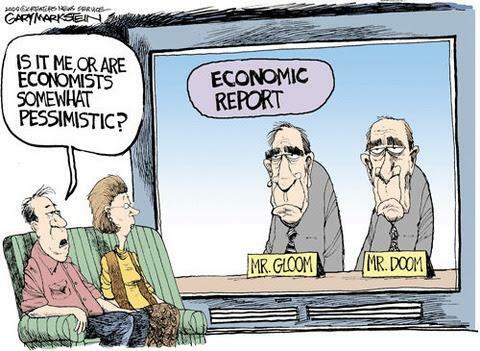 Brace yourself, as it is going to spell out doom and gloom. 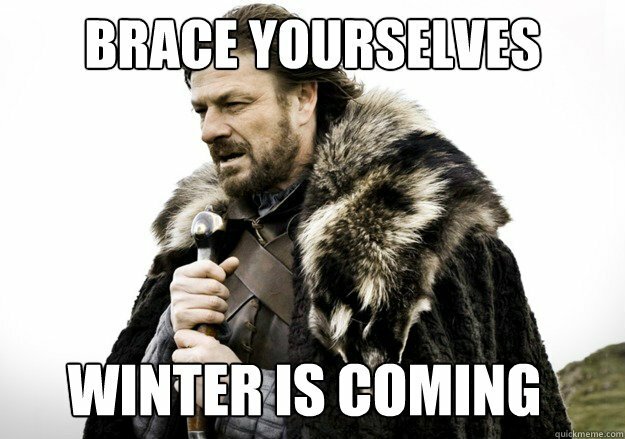 Winter will be coming (Game of Thrones reference if you didn’t get that)! Zero-ing in on Ups and Downs – Around this time last year, in 2017, through a whole bunch of factors, the market was on FIRE in January, February, and March before the cooling started in April. Media members always create headlines out of the monthly stats that are released by the Toronto Real Estate Board (TREB). These stats are compared to the previous year’s numbers, hence the frequently used term “year-over-year difference”. Year-over-year doesn’t necessarily paint a good, representative picture of where the market is heading; and especially not if there are a lot of major government interventions. So in the coming months, media headlines will be comparing the first quarter of 2018 to the first quarter of 2017, the latter of which experienced a major increase in prices due to lack of supply. Even though it may be a strong first quarter in 2018, it will look like peanuts compared to that of 2017’s first quarter. Keep it Real – So brace yourself for headlines and articles that show stats demonstrating that prices and sales activity are dropping over 10% year-over-year. In reality, that is true, but it doesn’t spell doom and gloom for the real estate market because the stats will be comparing a super spike (Q1 2017) to something that is much more balanced (Q1 2018). To my fellow investors – let this serve as a pre-emptive warning sign in case of any major freak out that may come when you read the coming month’s headlines about Toronto’s real estate market. It is not as bad in reality as they will write it up to be. Perhaps you may even opt to not read any of the headlines at all and just carry on, doing your own thing. That might actually be a wiser choice, my friend! Next Next post: How First Time Home Buyers are ACTUALLY Getting Destroyed by Stricter Lending Policies.